14mm- (counterclockwise) threaded for muzzle attachment. 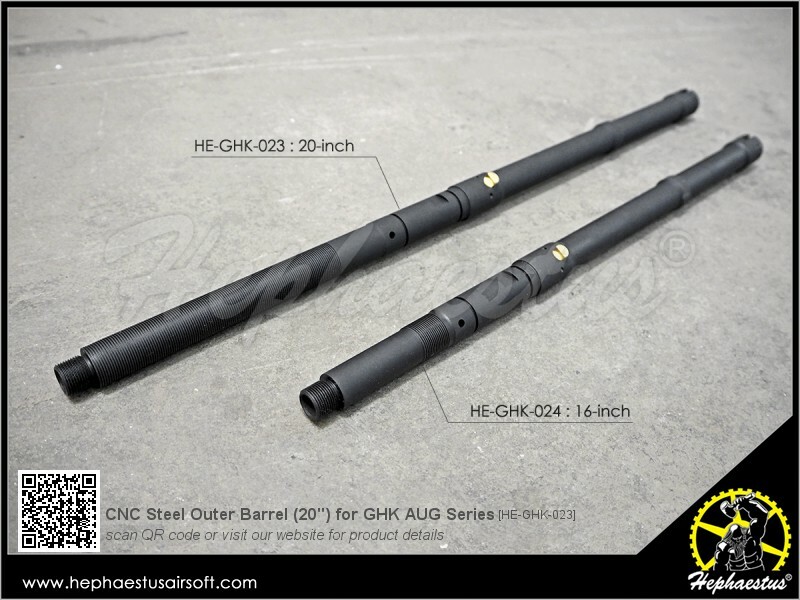 Suitable for GHK AUG GBB series. Replace original Outer Barrel (AUG-08).